Bars and pubs are seeing an upward trend in business as more disposable income becomes available. And with close to 80% of pub-goers convinced that good technology improves their overall experience, many managers are looking for ways to incorporate high-tech methods for everyday tasks. One of the most popular technologies being adopted in bars, nightclubs, and eateries around the world is the Point of Sales system. 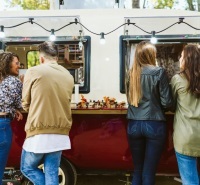 Let’s check out some of the coolest features that are making bar sales easier, faster, and more convenient, along with the best POS systems for your bar, today. Excellent bar POS system with multiple locations, cloud-based Revel offers several add-ons for easy customization and features like inventory tracking, tableside and online ordering, and an age verifier built in. Take a look at what Revel has to offer. 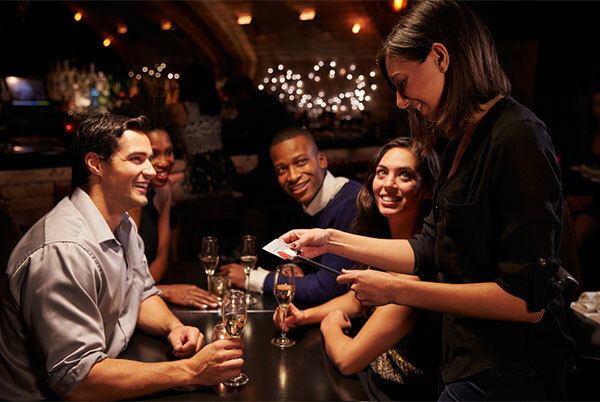 One of the best for quick service POS for bars, TouchBistro​ allows mobile payments for tableside service, bill-splitting, staff management, inventory tracking, and good reporting tools. It’s also iPad-ready for your convenience. Upserve​ has perfected customization, with the ability to tailor menus, dishes, and even tables in real time. They’ve also got excellent analytics and 24-hour customer support. Upserve your bar now. Another great option, Lightspeed​ offers some of the most in-depth native analytics for maximum employee management and sales monitoring. They also allow tableside ordering for faster service, and Lightspeed even offers a free trial, so you can get a feel for how the system works in your bar. Try Lightspeed today. 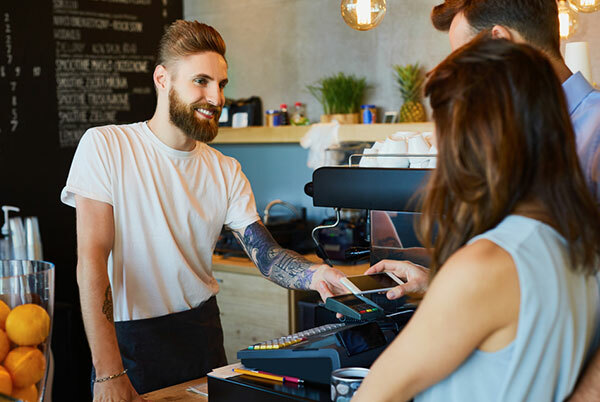 POS systems save time and frustration for staff, cutting back on manual error and alleviating the need to constantly run back and forth between table and register. That means your staff can reach more customers faster. Bar POS software is the easiest way to keep track of inventory and schedule orders automatically. They will also help cut down on supply shortages and over-ordering. With POS systems, inventory monitoring can even be done remotely for off-site control. Cloud-based systems like Lightspeed are ideal for this type of flexibility. 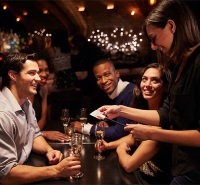 A typical bar/pub sees hundreds of sales each day, paid with a combination of cash and credit. POS systems allow bar managers to track sales instantly, 24/7. Savvy managers can even alter their menu on the spot with order tracking tools that show you which items are hot right now and which are not. 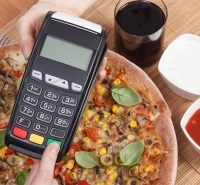 Credit card processing is a headache all on its own for most restaurants, but POS systems offer an easy solution that combines both payment acceptance and credit and debit card processors in one. This alleviates the need for excessive hardware as well as for multiple monthly payments for various services. In addition to being a safer credit card processing method, bar POS systems are also stronger security tools that help reduce employee theft and staff slip-ups. Once entered into the system, an order cannot be changed without a supervisor’s code, so staff members won’t be tempted to add items to the check and skim off the top. With the fast pace of a typical bar scene, you don’t want your staff tied down to clunky machinery. Look for POS systems that are handheld and mobile/tablet-compatible for the fastest and most convenient option. Being able to handle receipts and charges directly at the table or bar also gives your staff more time with your customers, something that automatically increases sales and loyalty. Revel and TouchBistro both offer iPad compatibility with their services. You’ll need an off-hours support staff since most bars are open at night when customer service reps are usually off the clock. Look for 24-hour support. Staff: User access permissions and ID scanners keep tabs on who’s working and what they’re doing. Customers: Pre-authentication signatures ensure that you get paid even if your customer walks out and forgets to pay - or is too inebriated to do so. Just by swiping their card, customers can open a tab for dramatically smoother sales. Now they can order another round with just one button or keep coming back to the bar for another drink. Tabs can also be customized according to customer name rather than by table number so you can reward regular customers and keep track of ongoing tabs. Frequent customers’ tabs can remain open and accessed with just a name or the last four digits of their credit card. Finally, tabs can be reached from any terminal to easily add drinks or cash out. Price scheduling is an invaluable tool that most bar managers love. It’s great for happy hour, multiple menus, and specials. You can even program rotating prices that automatically change, or duration pricing - for pool tables, VIP rooms, or other time-based services. Unless you only have one bartender or waitress working around the clock, you are going to need a system that supports multiple user logins. Many systems come with fingerprint scanners, numerical keypads, or card readers for an added level of security. Inventory control monitors and dispenses alcohol and other items for exact reporting. This feature also lets you break up specific products into different sales units - for example, a bottle of vodka can be priced as a bottle and as a shot - so you can see exactly what is being used, when, and how, and when you need to order more. This feature lets you know exactly who’s giving out drinks and when. In addition to helping you uncover any employee theft, employee tracking can also project sales to help you get a better handle on employee scheduling. Also look for the blind closeout feature to keep register skimming curbed. This neat feature will cut down on confusion and delays trying to recall the exact drink recipe being ordered. POS systems will automatically display images and recipes for drinks ordered as well as let you customize drink orders for customers who are particular about not having mint in their mojitos. This is not a recommendation, it’s a must. Not only will it help you catch shrink in action (when bartenders give people freebies without paying for them), but it will help you keep an eye on employees skimming off the register and any brawls that might be brewing. Because a lot of people who frequent your bar aren’t going to want to put those drinks on their credit card, make sure your POS is cash-compliant. This is actually more valuable for pubs than you’d imagine. Getting a steady trickle of drinkers is good, but what really makes a bar profitable are the frequent customers that come in and spend all the time. A CRM allows you to take note of big spenders, manage their orders, and deal with them accordingly. This could mean sending out promotional emails, discounts via SMS, or invitations to upcoming events for VIPs. These tricks will get the big spenders to keep coming back to your bar rather than spending their money somewhere else.